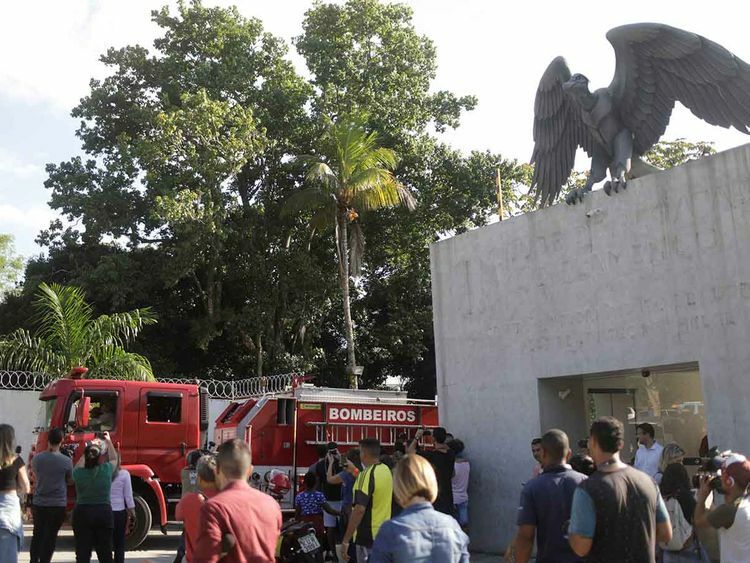 Rio de Janeiro: The bodies of the 10 victims of a fire that ravaged accommodation for youth players at Rio club Flamengo have been identified, Brazilian media reported on Saturday, saying all were between 14 and 17. The fire struck early on Friday. Initially the authorities thought the victims included members of staff, but on Saturday several Brazilian newspapers ran photos of the dead youngsters, smiling, proudly sporting the club’s red and black jersey or holding trophies. The fire brigade said in a statement that the training centre “was in the process of being brought into line with [fire] regulations” and that it did not yet have their certificate of approval. Of the 10 teenagers who died, only three were from the state of Rio de Janeiro, where the Ninho de Urubu (the Nest of the Vulture after the club’s nickname) training centre is located. Four were from neighbouring states, two from Santa Catarina to the south and one from Sergipe in the north.